I'm not usually in The City on Wednesdays so I took advantage of the day on my own. 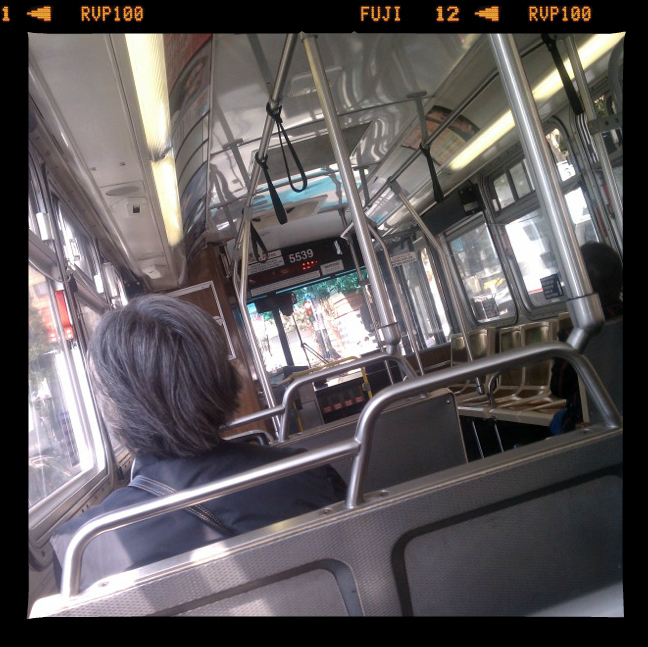 I took the bus to Fisherman's Wharf then walked home from there. This was right after I got on the bus. 2 stops later, it was packed with people standing and squished in each others armpits. 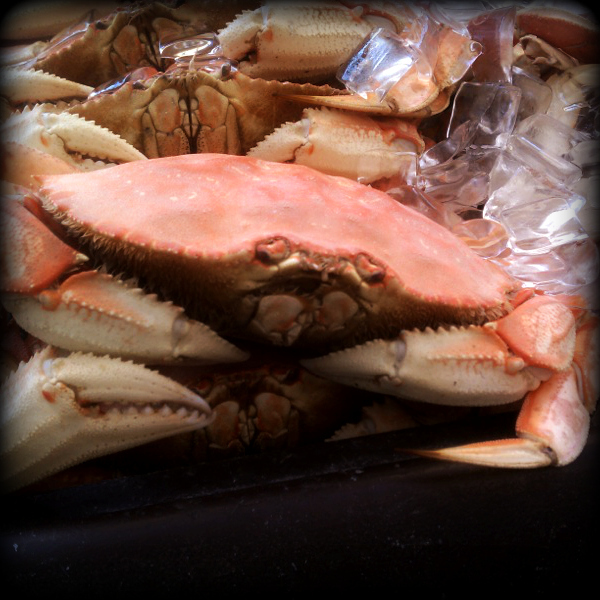 The ubiquitous crab at Fisherman's Wharf. You can buy them everywhere. I haven't, but if you'd like one, I'll direct you to the right place. 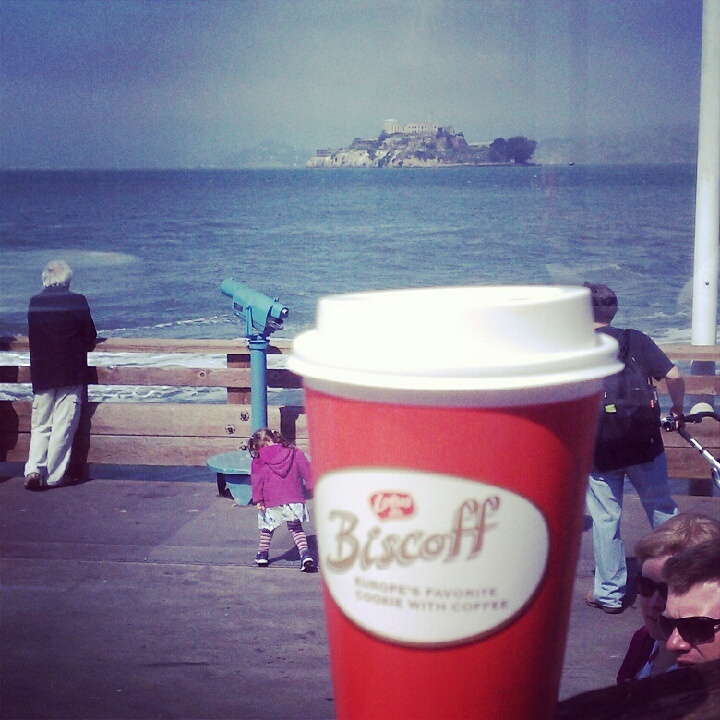 Instead of crab, I enjoyed my coffee at the end of Pier 39, enjoying the views and the sun. In the fall, it's usually a teeny tiny bit less touristy because kids are back in school. But there were 3 cruise ships here today. 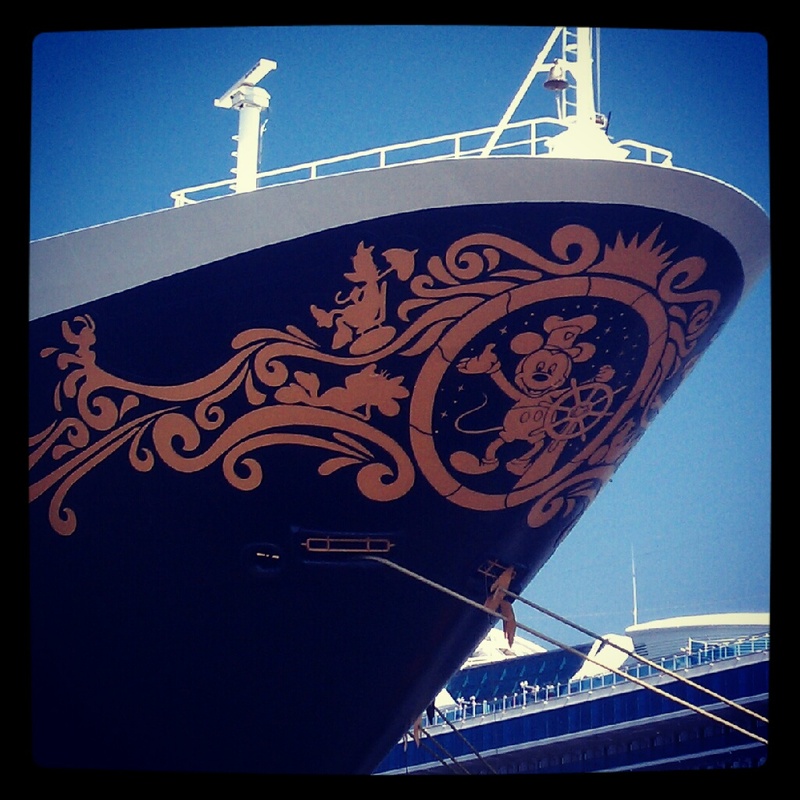 I wanted to stow away on this one, the Disney Wonder. 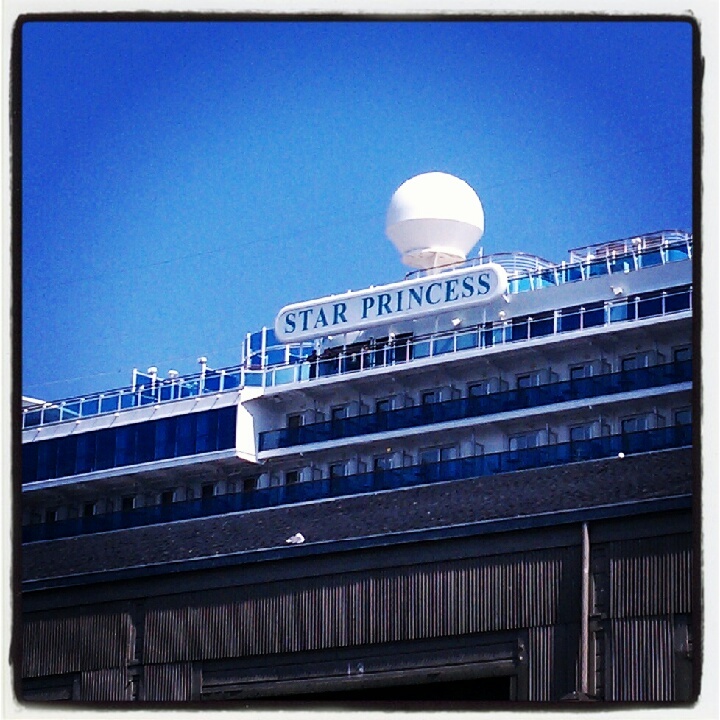 This one was meant for my SIL who shares the same name as this Princess. 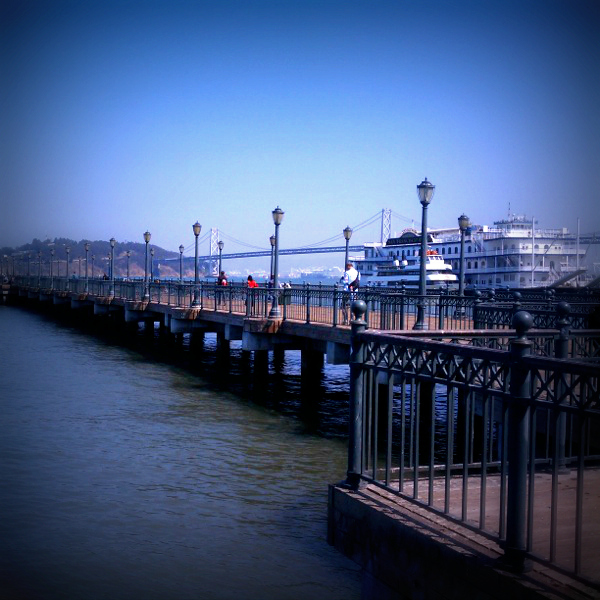 One of my favorite wooden piers along the Embarcadero, Pier 7. I fondly recall when the Bowen's were here with us last year. 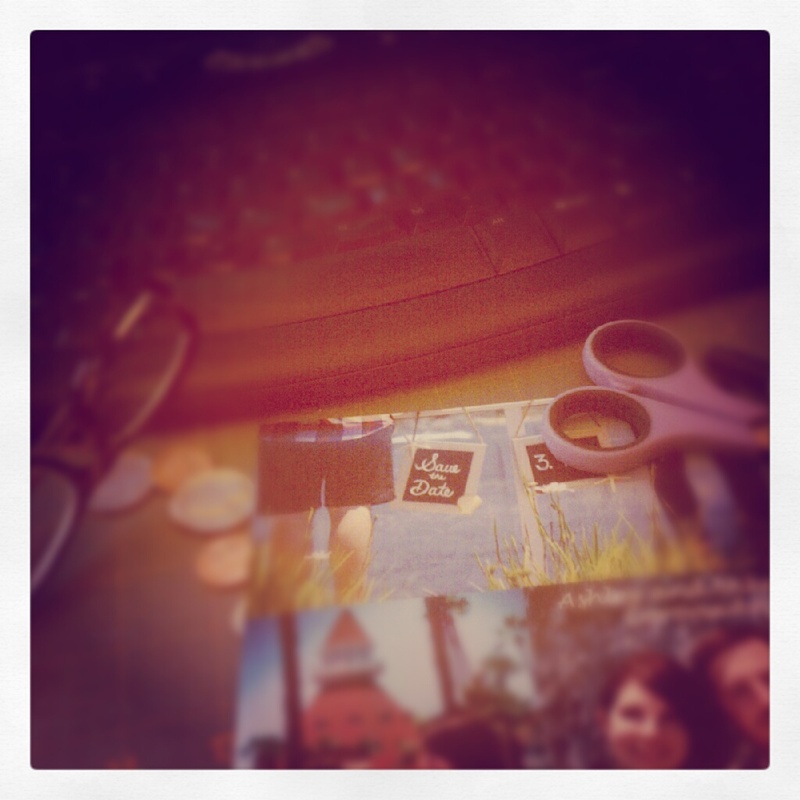 When I got home, got a Save the Date from our niece who is getting married in March. I snapped this photo and posted it to instragram so she'd see it. Love that girl so much and can't wait till her big day! This was a great way to spend some time, just wandering about SF and enjoying a coffee. I am envious. My day was not quite so exciting... first a doc appt, which took ages, then home to make some phone calls, then picked up some medication at the drug store, then went to the art shop to buy some paint and gesso for my art classes, then home and made a cuppa tea, and read a book sitting in the sunshine on my new deck. Now that is GOOD for a Hump Day! :) I love it, Mad.